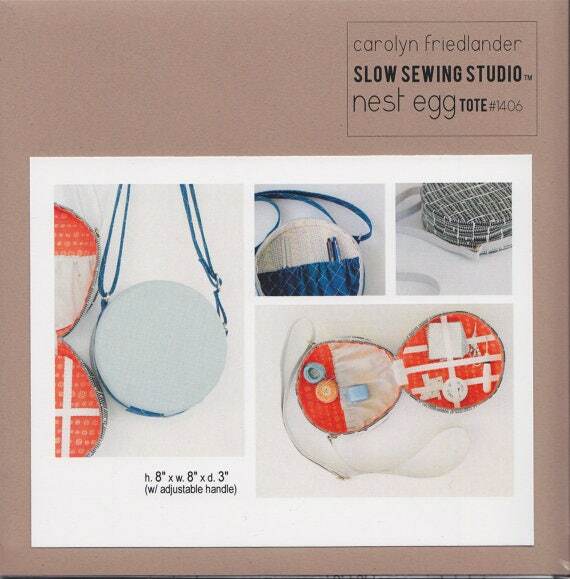 Pattern for the Nest Egg Tote by Carolyn Friedlander/Slow Sewing Studio. 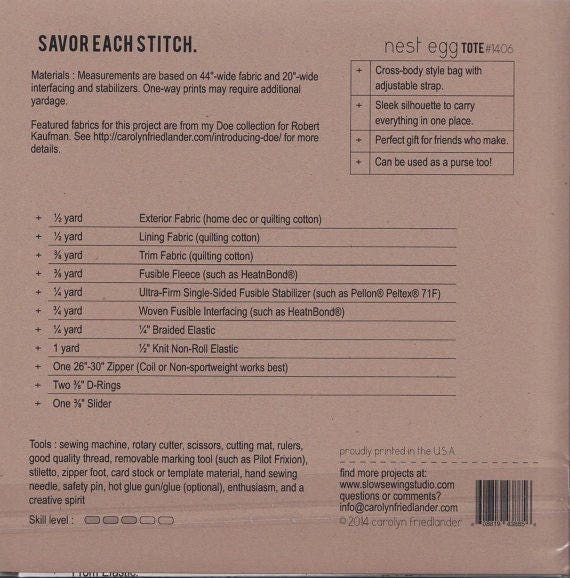 Includes instructions for a cross-body-style bag with adjustable strap. Can be made into a sewing kit. See second image for fabric needs and other details.